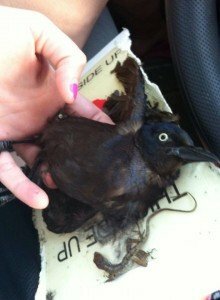 Glue traps: For compassion’s sake, please do not set, place, or hang them. Here’s why. Sentient people recoil at the idea of leg-hold traps, those medieval–torture devices which cause so much pain and suffering before their victims eventually die, are killed, or (very occasionally) are rescued. However, many people who wouldn’t dream of setting a leg-hold trap use glue traps, which accomplish the same thing – just on a smaller scale. 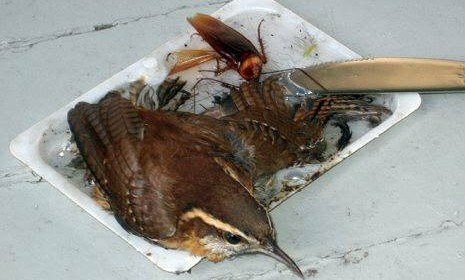 The Carolina Wren pictured above was caught in a Walmart in a trap set for rodents. 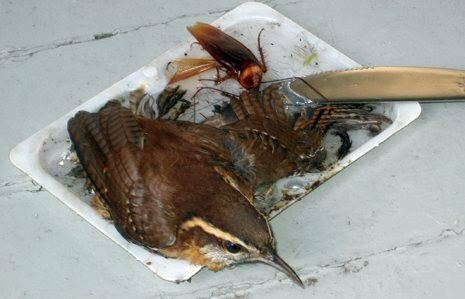 Like leg hold traps, glue traps are indiscriminate, with non-targeted species making up a large proportion of their catch. But be it a mouse, bird, bat, gecko, kitten … it’s a very bad way to go, and no creature should have to suffer death by torture. Rehabbers have various tricks they use to remove glue from feathers, but often the birds have already lost so many feathers in their effort to free themselves that they have to be kept until they grow a new set. Rehabbers hate this. Wild birds are meant to be wild, and sometimes otherwise healthy birds simply cannot stand the stress of a long captivity. Alternatives to mouse-catching glue traps? See Safe Rodent Control. Amen. If you’re too squeamish to use a snap trap, you’ll never get over the misery you’ve caused with one of these things. I agree… These are terrible. I would like to know the trick to get them out of the glue trap. They should definitely be illegal. Agreed, Rick, but it’s important to mention snap traps do not belong outdoors. With the recent awareness about rodenticides, people are turning to snap and glue traps to solve rodent problems. 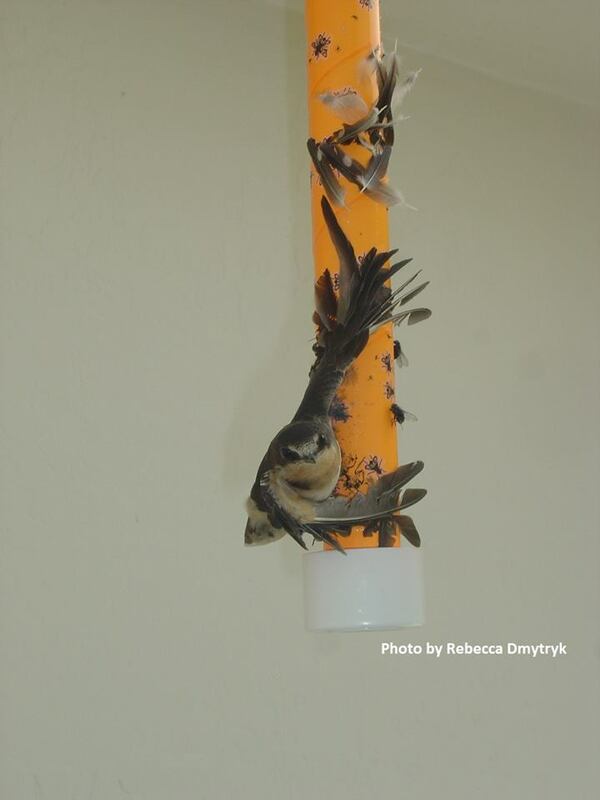 Unfortunately, when placed outdoors, these devices are a significant threat to passerines and other small non-target creatures. We receive a handful of snap trap victims every year, as well as the sticky trap victims. Pigeon shoots, rattle snake roundups, turkey drops and now glue traps. Oh boy. We’d also like to say that we do not plan to use the stuff ourselves to trap living animals, nor botching the work on freeing birds without calling for assistance. Yikes this is terrible to see. I’m sure it happens by accident in most cases, but if I had done this, I’d feel absolutely terrible. Great post that will hopefully save a few birds by reaching the right readers. When I was a kid I found a mouse on a glue trap and tried to remove it and it tore its belly off. I was traumatized as a kid for weeks. Felt bad he was glued on it… my father quit buying them after that and I will never use again. Snap traps only. Quick and easy. Where Are You Birding This Third Weekend of August 2014?